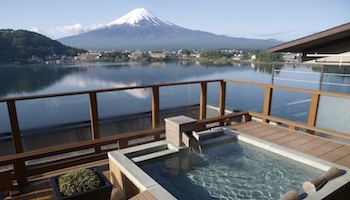 Japan is quickly becoming one of the top travel destinations in the world. More and more people are traveling to the island nation every year, lured by the promise of fresh sushi, amazing train rides, safe cities, intriguing traditions, and quirky pop culture. 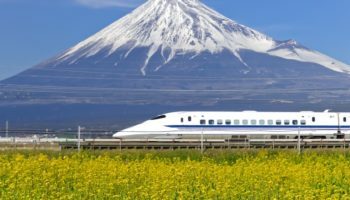 But there’s more to Japan than cat and robot cafes; its many islands are surprisingly easy to travel around and well connected by railways, ferries and bus services. Koya-san or Mount Koya is the most important site in Shingon Buddhism, a sect that has been practiced in Japan since 805 when it was introduced by Kobo Daishi. It remains the headquarters for the sect and the small town that grew up around the temple. 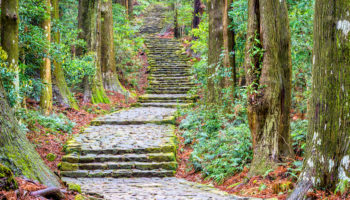 The site of Kobo Daishi’s mausoleum, this wooded Mount Koya is also the starting and ending place of the Shikoku 88 Temple Pilgrimage. Tourists can get a taste of the monk’s life here as they are allowed to stay overnight in the temple. Located west of Okinawa, Ishigaki is Japan’s premier beach destination and makes a good base to explore the other islands in the Yaeyama archipelago. Blessed with Japan’s best beaches, it is particularly popular with families since the beaches at Fusaki and Maezato are net-protected. Located 1,250 miles (2,000 kilometers) south of Tokyo, Ishigaki may not have the shrines and temples that other Japanese cities have, but it does have an exuberant nightlife for visitors who have the energy after a day of beachcombing, water sports or climbing Mount Nosoko. In the mid-nineteenth century Kanazawa was Japan’s 4th largest city, built around a grand castle and the beautiful garden. Today, the capital of Ishikawa Prefecture continues to cultivate the arts and contains an attractive old town. 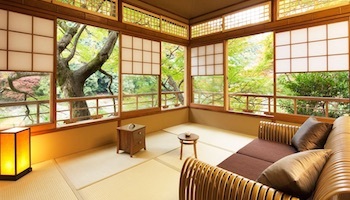 Having escaped bombing during World War II, traditional inner-city areas, such as Nagamachi with its samurai houses and the charming geisha teahouse district of Higashi Chaya, remain intact and are a joy to wander around. Hiroshima, located on Honshu Island, is younger than many Japanese cities, less than 500 years old, but its fate was forever sealed in history on August 6, 1945, when it became the first city in the world to have an atomic bomb dropped on it. Thus, the city’s attractions center around peace: Peace Park, Peace Memorial and Peace Memorial Museum. 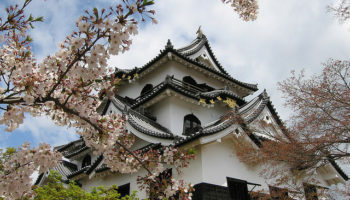 The city also has attractions that invoke more pleasant thoughts, such as Hiroshima Castle and the sunken garden of Shukkein-en. 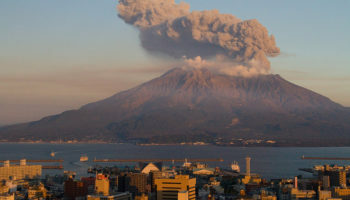 Located on the coast less than an hour from Tokyo, Kamakura was once an important town, the seat of a military government that ruled Japan for a hundred years. Today, it’s a relaxed seaside resort sometimes called the Kyoto of eastern Japan because of its many temples and shrines. Its most famous sight is the Daibutsu, a huge bronze Buddha statue surrounded by trees, but the town’s ancient Zen temples are equally compelling. Nikko is a small town at the entrance to Nikko National Park, most famous for Toshogu, Japan’s most lavishly decorated shrine and the mausoleum of Tokugawa Ieyasu. Another popular attraction is the red-lacquered Shin-kyō bridge. 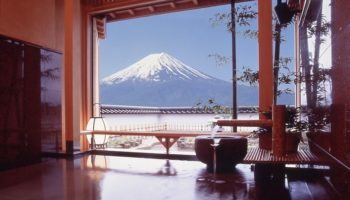 One of the popular places to visit in Japan, the national park offers scenic mountainous landscapes, lakes, waterfalls, wild monkeys and many hiking trails. While stunning scenery is available year ‘round, fall is an especially good time to visit Nikko. That’s when leaves transform the landscape with spectacular bursts of color. Visitors who long for peace and quiet after the hustling pace of Japan’s big cities may want to head to the tourist town of Hida-Takayama where they can experience life in a rural setting. Located near the northern Japan Alps, Takayama is well known for having one of the best-preserved old towns in Japan. The prettiest section of the old city is called Sanmachi. It consists of three narrow lanes packed with wooden buildings housing sake breweries and little boutiques. Nara, once known as Heijo, was the first permanent capital of Japan, established in 710. The capital was moved to Nagaoka in 784 when the government was threatened by powerful Buddhist monasteries. Located less than an hour from Kyoto, seeing Japan’s oldest and largest temples is a popular tourist activity. Visitors especially like Todaiji Temple with its cantilevered buildings, manicured lawns and deer strolling the grounds. Kyoto today is the capital only of Kyoto prefecture, but it once served as the imperial capital of Japan for more than 1,000 years. 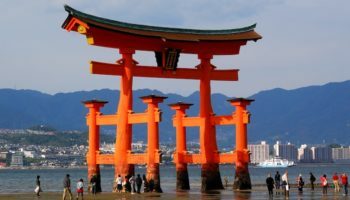 Located on central Honshu Island, this city of 1.5 million people is known as the City of 10,000 Shrines because it has thousands of Shinto shrines, including the top rated Fushimi Inari Shrine, and Buddhist temples. Kyoto also is known for its lovely gardens and the Gion Matsuri festival, a July celebration that is considered one of the best in Japan. 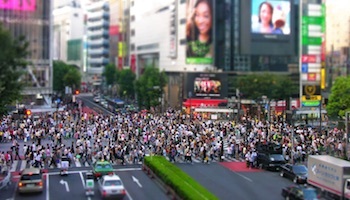 Travelers who like to mingle with people will love Tokyo. The Japanese capital’s metropolitan area is the most populous in the world. From viewing spring cherry blossoms in traditional gardens to the fish market at Tuskiji. Tokyo blends the ancient with the new, from shrines to karaoke bars. Just walking the streets of this hyperactive city can be an energizing experience. When Tokyo’s pace gets too frenetic, visitors recommend unwinding at the beautiful Shinjuku Gyoen National Garden. 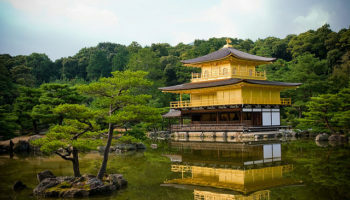 Which destination do you consider the best place to visit in Japan? I have only been to 3 of the places mentioned,but many many others not mentioned. For me Kyoto beats,Tokyo and Nara…but then I have spent much more time in Kyoto and find it easy to get around. Kyoto has so many beautiful temples,shrines and gardens and it is a relaxing place to walk around. 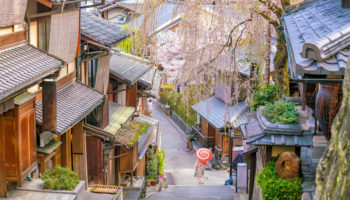 I suppose a feature here is the Gion area,in the CBD,where you will certainly see the Maiko walking around in kimono, adding that special touch of old Japan. Of course, you find Tokyo exciting and Nara is well worth a visit;especially as it is so close to Kyoto. Visit all 3 if you can. Been to Kyoto, Nara, Kamakura and Tokyo in the list. Really really love how you guys have ranked the top 10 by “areas” because most other websites ranks by “attractions” which really frustrates me. I’ve been to Japan twice and I already visited the popular ones that people usually goes to like Osaka, Mt Fuji and Nagoya. I’m planning a third trip with the intention of visiting other areas like Takayama and Kanazawa but it’s really hard to find websites introducing the less visited areas. So REALLY REALLY LIKE how the less visited places were also included. List is really fascinating, How much time would be needed to visit all the above mentioned places. planning a visit in november this year.